Following is a compilation of the Top IB schools in Chennai in 2019 with rankings. High-end infrastructure, foreign curriculum, implementation of the latest technologies and support services are the key parameters in the success of these schools. Find all the information you may need about the top IB Schools in Chennai.Detailed admission procedure has been included for each school mentioned in this list. MCTM international school motivates and guides students to follow their own path. 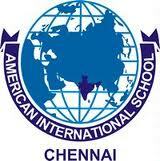 The American International School is one of the Frontline schools situated in the great city of Tamil Nadu. CPS Global School has been an IB World School since April 2012.